Choosing names for your main characters is very important, so it's necessary to get it right. Of course choosing a name is a personal choice. I figure since I'm going to be typing my main character's name an awful lot during the writing process I may as well like it. 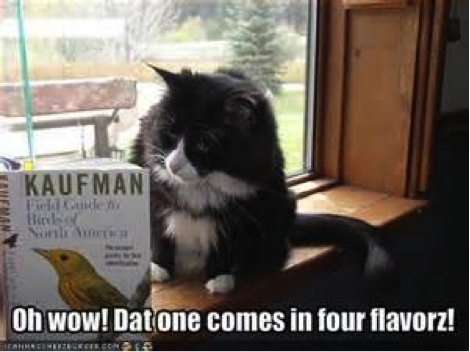 I also think it helps to endear the character to the reader if they have a pleasant name. The same could be said for an unlikeable character – I like to give them an unpleasant name to suit their personality. I like a strong, masculine name for a hero and nice feminine name for a heroine. Having a heroine named Gertrude would certainly put me off, as would a hero named Eugene. (No offence meant to the Gertrudes and Eugenes of the world...it's just a personal thing.) I don't like it when characters have similar-sounding names like Molly, Dolly and Holly. It can become confusing. Another thing that can become confusing is having too many characters' names starting with the same initial, such as Bill, Ben, Bob, Bernie. Names also need to apply to the age and class of the character. Clearly the names Joan or Shirley would be more suited to a 60-year-old woman rather than a newborn baby. The same applies in reverse. A newborn may be called Summer or Indigo, but it would not fit well with an older lady. Though of course some names are recycled and come back into fashion. Others are eternal and could fit any age, such as Elizabeth and William. Be careful not to have a character's name too similar to a known personality or actor. Or a last name that will be associated with a TV show or movie e.g. Brady (The Brady Bunch) or Gilmour (The Gilmour Girls). I did this unintentionally when writing Sinister Intent. I used a little-known actress's name for one of my characters, although I didn't realise this until it was pointed out to me by my editor. I had never heard of the actress (or so I thought); the name just popped into my head. Although I have to wonder if I had heard her name before but my subconscious conceded that I'd come up with it myself? In Jennifer Bacia's book, Creating Popular Fiction, she talks about choosing the right combination of names for characters. She suggests making sure last names match with the first name, and to keep in mind that first names capable of abbreviation should still sit well with the chosen surname (otherwise Gerald Perry will end up as Gerry Perry). She warns to employ unusual names with care. They can give a character distinctiveness but can also detract from the authenticity of the character if they are too outlandish, are hard to pronounce or have confusing spelling. Long names or tongue twisters can become tiresome and annoying and can give the appearance of being artificial and contrived. Author Tara Moss has a strong lead character in her Makedde Vanderwall series. Yes, the name is a mouthful, however she is referred to as Mak, which makes it much easier to read but also keeps the name distinctive, I think. I suppose the same could be said for a plain name like Jane or Anne, or extremely common names like Sarah and John. Do they suit a strong feisty character or would they be more suited to a minor character? Or do you give a minor character that might only appear once or twice a name at all? Can they just be referred to as "the secretary", or "the workman"? I think discussing the topic of choosing characters' names could go on forever. However, at the end of the day it comes down to personal choice, the time frame being written about, and common sense. Though knowing a few basic tips on what might work better and what might not certainly can’t hurt. 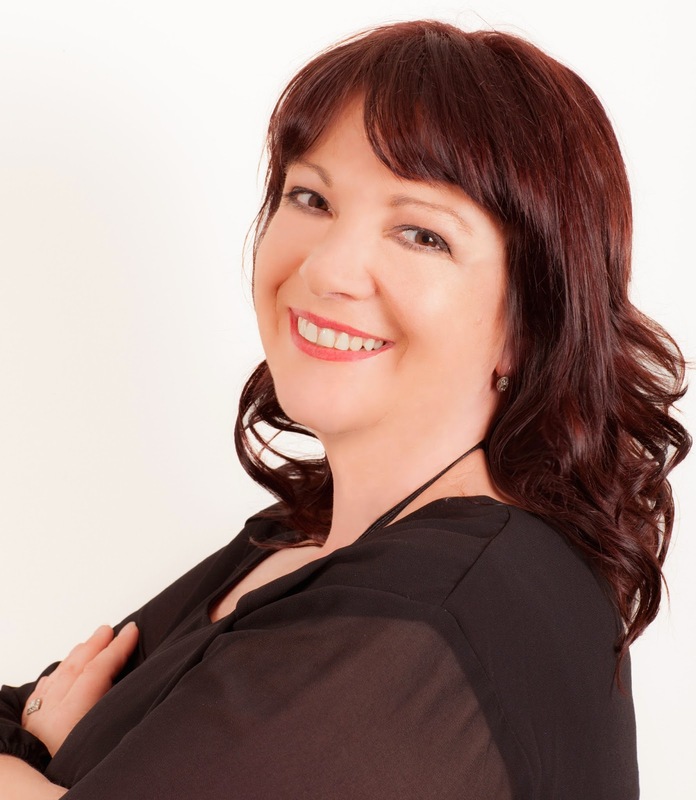 Karen is the author of Sinister Intent and Deadly Obsession. Have you ever found yourself reading a story and been so immersed that the sights, smells, and sounds feel real? That you could vividly describe that world, even though you’d never physically been there? I adore stories like this and ever since I was a kid, I’ve hunted down books that would transport me to far off lands, explore an array of cultures, or experience a moment in history I wouldn’t normally get the chance to (unless, of course, my time machine finally works). When I first started writing I realised characters don’t have to be human (or paranormal creatures), and they can take the form of setting—landscapes, eras, environment, weather, political climates, and cultures to name a few. Settings add complex layers, enrich stories, and can steer a tale in a different direction. Think of your favourite story and imagine it in a different era of time or country or culture. Would it be the same? Rural Romance wouldn’t work as well if it was set in, say, Antarctica or the Pacific Islands. And disaster stories would be (wait for it …) a disaster (pun intended!) 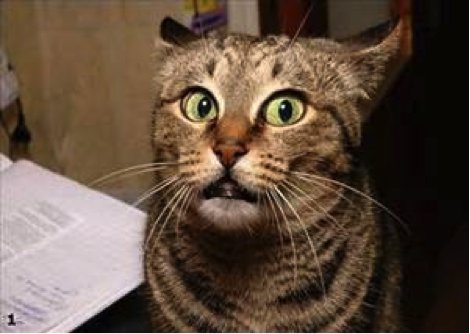 if there weren’t non-human characters causing mayhem—for example, an earthquake, meteor, flood, storm or deadly virus. Settings add forward momentum to a story and can make an ordinary story extraordinary. Settings such as culture, landscapes, environment, history and time can take on human characteristics—they can have flaws; shady pasts; evoke love and longing and challenge the human characters in ways only non-humans can. They can also have a profound influence on the actions and feelings of human characters. Of course, the physical landscape of a country is not the only setting a writer can work with. In my books I use dance and music as a character. I chose dances that are an intrinsic part of a country’s culture—tango and Argentina; flamenco and Spain; and the Ballets Russes in Paris. These dances are so tightly woven into the country’s cultural history and identity that it would be impossible to set these stories elsewhere. And that’s the secret to knowing if setting is a character—the story won’t be the same if you moved it to another culture, location or time period. Without the aid of unlimited funds (research grant, anyone?) to travel the globe and experience a new culture, how can authors bring authenticity to their stories? Networking is high on the list, and with the aid of social media and the Internet, it’s not too hard to find an expert in the field of your chosen topic. Most people love talking about their passion and tend to be very giving and enthusiastic when a writer shows interest. I’ve been fortunate enough to find tango, flamenco, and ballet dancers who have happily given me their insights and experiences. They’ve also introduced me to experts in the culture and history of the country I’m writing about. It never hurts to ask, and often the person is flattered and happy to share their invaluable knowledge. So writers, next time you sit down to work on a story, imagine it set in a different time period, culture or location. If the change in setting excites you, then get researching and you may just find a new way to tell your story. And readers, maybe next time you choose a book, go with one set in a destination or time period you wouldn’t normally read. Who knows, you may just find a ticket to a new and exciting world! I love to love … stories! There’s nothing better than finding a book, movie, or TV show that captures the mind and heart. I love to laugh … at myself! I’m one of the most accident prone people I know. I love to learn … about new cultures and history. It reminds how humans across the centuries and from an array of nationalities are alike in so many ways but are also vastly different. Alli Sinclair is the author of Luna Tango, the first in the Dance Card Series, published by Harlequin MIRA. Last week we promised an Amazon gift voucher to one person who commented on our post. Many thanks to all of you who visited and joined in the conversations--it was so lovely to have you join us--but unfortunately there can only be one winner and the name drawn out of a hat (literally!) was... Marianne Therese. Congratulations! A $10 voucher will be winging its way to you very soon. Welcome back, everyone! 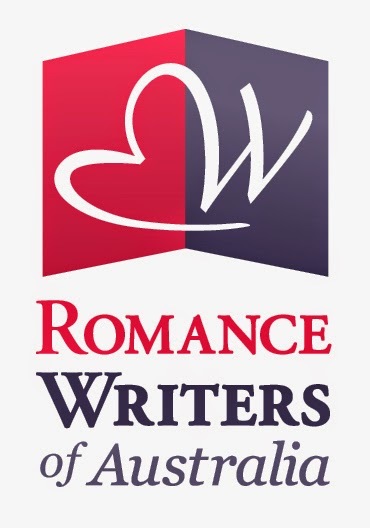 We’re starting the new year with a bang by celebrating some of the wonderful Aussie Romance reads of the last year, and offering a $10 Amazon voucher to one lucky commenter. Each of us has nominated one (yes, dammit, just one!) 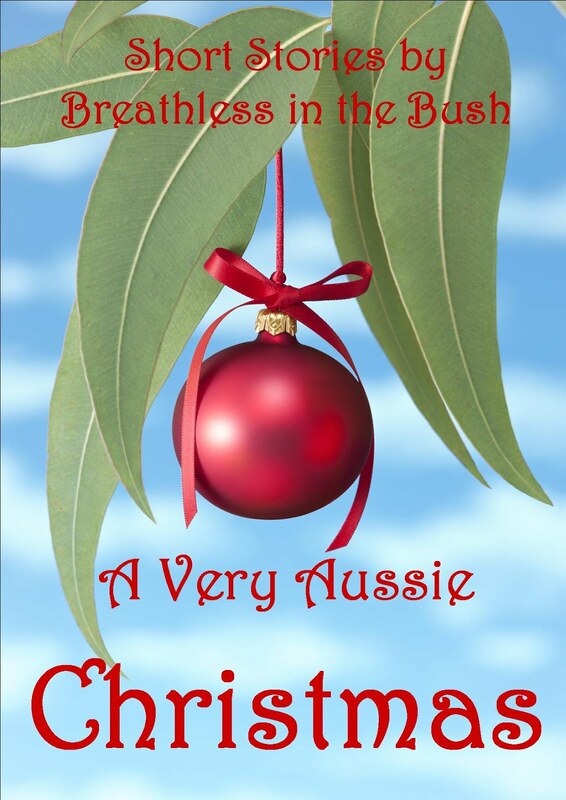 fave Aussie Romance read from 2014 to review. Talk about making life difficult for ourselves. We've also invited along a couple of guest bloggers with their top picks. Breathless in the Bush is an eclectic group so, as you’d expect, we've covered a whole range of sub-genres in our choices. Looking for the next book to add to your TBR pile? You've come to the right place. And with an Amazon voucher up for grabs, don’t forget to leave a comment! Lick by Kylie Scott (published by St. Martin’s Griffin) is not in my usual favourite genre but I'm so glad I picked it up. The trope of waking up married in Vegas is well-worn but the author makes 'Lick' feel fresh and bright. Straight-laced Evelyn Thomas is horrified to wake up seriously hung-over in a hotel room and married to a hunky stranger. She can’t remember a single thing about the night before or her new husband, rock star David Ferris. I really enjoyed watching Eve and David work through their rocky relationship to find love, courage, and her memory. Thank you, Kylie for a most enjoyable read! I've already purchased the next two books, 'Lead' and 'Play', for my kindle. My favourite romance of 2014 was Anna Campbell’s What a Duke Dares (published by Grand Central, Harper Collins, and Mills & Boon UK). For an excerpt, visit Anna Campbell’s website at: http://www.annacampbell.info/dukedares.html . Remember the joyous days of childhood innocence when Grimm's tales swept you into wondrous, magical worlds? 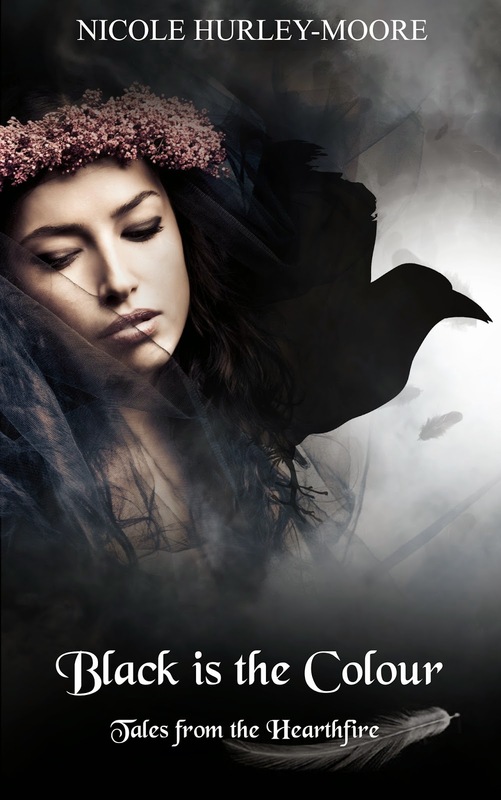 Weave in a paranormal atmosphere, twist with a touch of supernatural magic, and you have Nicole Hurley-Moore's 189-page ebook novella Black is the Colour, book one of the medieval fairytale series 'Tales of the Hearthfire'. In this charming, delightful and sweetly-poignant tale of forbidden love, free-spirited and strong-willed upper-class Ciara loves blacksmith Oran for the kind, humble soul he is and bravely battles dark magic to break the witch's curse placed on him. I rate 'Black is the Colour' five stars for grabbing at my heartstrings from page 1 and captivating me to the end. I eagerly await books two and three in the series. 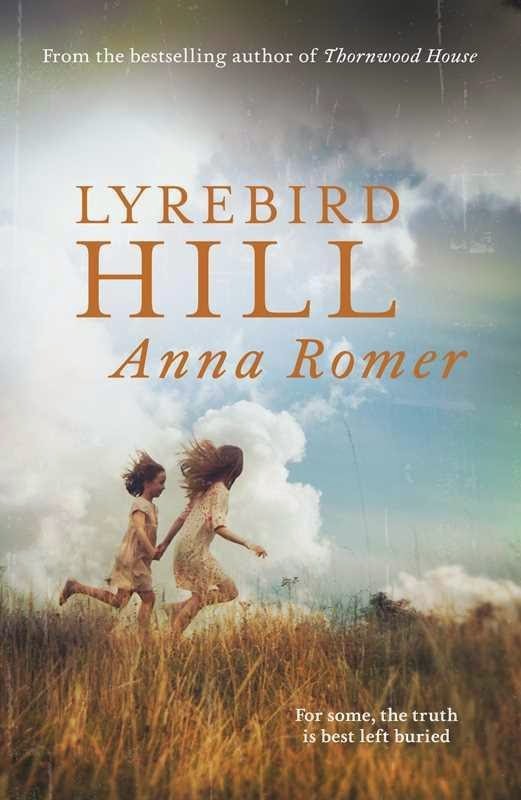 I loved Anna Romer’s second novel, Lyrebird Hill (published by Simon & Schuster), even better than her first. It is a story about romance, forbidden love, endurance, hardship, family secrets, murder and mystery. These themes and more are present as we are taken from present day and back in time to 1898. The writing tone is beautiful, sweet and seductive. The narrative is multi-faceted with the two parallel stories being expertly told in alternating chapters. The descriptions are lush, with the settings leaping from the pages in three-dimensional glory. You can hear the bush come alive, you can see the vibrant colours of the flora and fauna, you will smell the smoke of the camp fires and you too will wonder if you are catching glimpses of movement, shadows moving in the corner of your mind’s eye…this is mesmerising, evocative reading. This is a wonderful enchanting and mysterious read that will engage all of your senses and have you totally captivated from beginning to end. 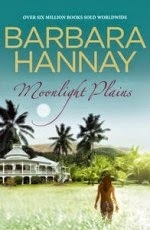 Barbara Hannay always delights with her wonderfully poignant storytelling and her latest, Moonlight Plains (published by Penguin Australia), continues the tradition. I love, love, love dual timeline novels and this one cleverly interweaves two love stories, set seventy years apart, in and around the beautiful outback Queensland homestead of the title. 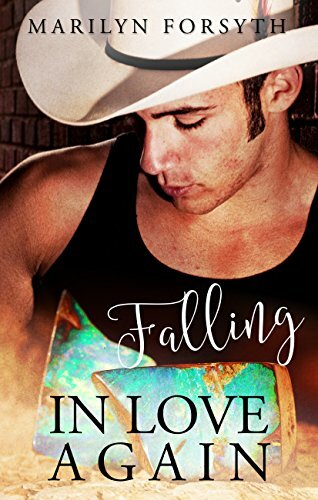 One story is that of Kitty Martin, an Aussie girl who falls for Ed Langley, an American airman stationed in Townsville in 1942 (think 1940s movie-star good looks and charm); the second is that of Sally Piper, a young widow who falls in love with Kitty’s grandson, Luke Fairburn. (Who wouldn't? He’s gorgeous!) Throw in hidden letters and family secrets, and it's a book to lose yourself in. 'Moonlight Plains' is uplifting and it tugs at the heartstrings, it’s traumatic and it's bittersweet…it’s romance at its best. But then, isn't that what we've come to expect from Barbara? 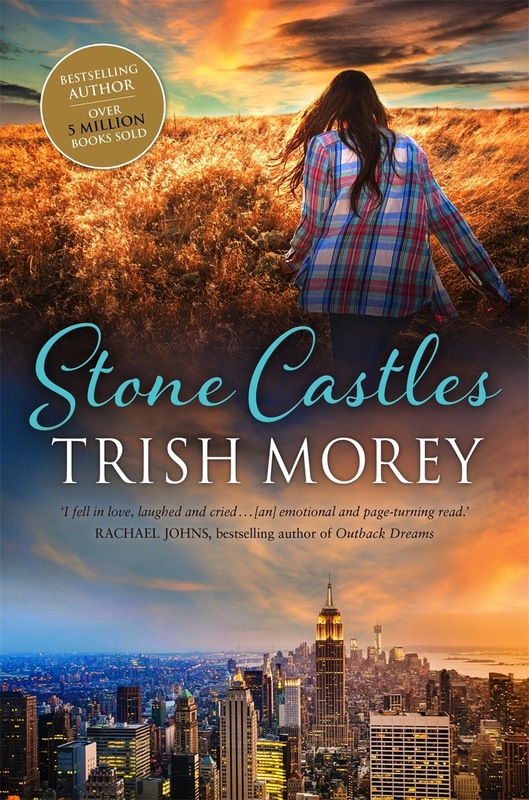 Darlings, it was lovely to find Stone Castles (publish by Macmillan) by Trish Morey in my Christmas stocking! Trish writes in her acknowledgements that this is the book of her heart, written after the deaths of her brother and father. How amazing to write this at such a difficult time. Set in SA, it's also a love affair with the beautiful Yorke Peninsula; I so want to visit now! Even better, it's a second chance romance between Pip Martin, a NY hotshot bank analyst, and Luke Trenorden, the man she walked out on. Tender, passionate, and honest, it really takes your breath away. Pip has huge flaws; she's been a broken woman. At times you doubt she'll ever find happiness... but Luke is right there, oh my. Touching and definitely with heart. Thanks, Trish! A Scandalous Wager (published by Escape) by Cassandra Samuels tops the list of my favourite romances for 2014. I loved this book! When the Black Raven procures the services of the drunken, dishevelled and down-on-his-luck Lord Bellamy, it is purely a business arrangement meant to benefit both parties. Lisbeth needs help to clear her name and prove she did not murder her abusive husband. Lord Bellamy desperately needs money and has undertaken a list of daring wagers. There are no wimpy, spineless characters in this story. Indeed the gorgeous Oliver meets his match with the feisty and completely lovable Lisbeth. Witty dialogue, engaging characters and a credible plot transport the reader to another place in time where one is reluctant to leave. Great page turner. Great read! 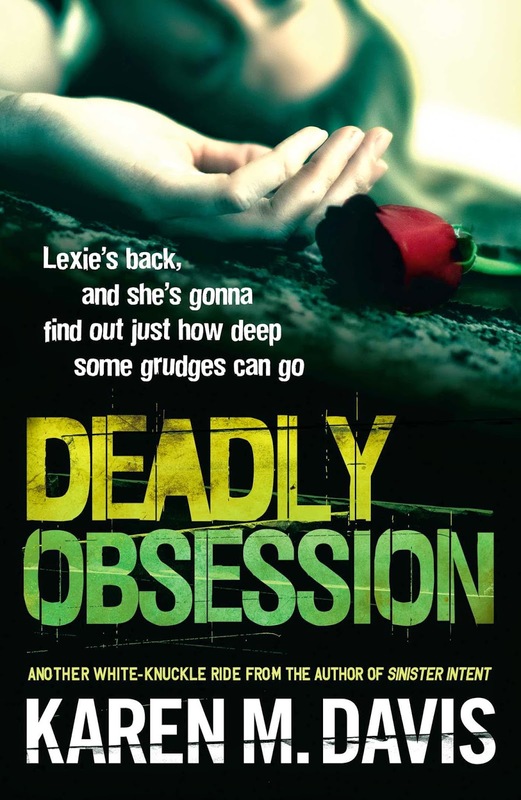 Deadly Obsession (published by Simon & Schuster) is a great read that continues Detective Lexie Rogers’ story. I love crime fiction (with a bit of romance thrown in, of course!) 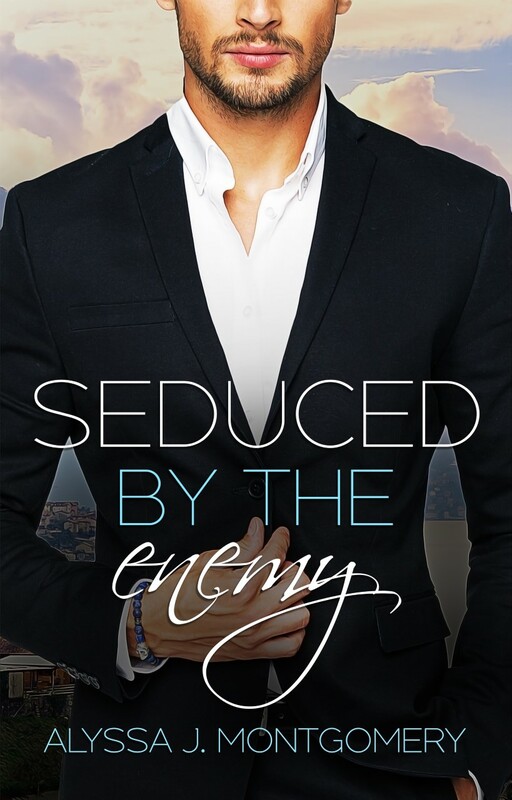 and what I enjoyed most about this sequel is the way Karen M. Davis brings together the very real personal and professional conflicts that arise when Lexie discovers someone close to her is the main suspect in a chilling murder. Returning bouts of PTSD and a warning from Brad Sommers, her lover and police partner, that she’s getting in too deep add to the realism of the drama. This book is a page-turner that will keep you guessing who the killer is right till the end. 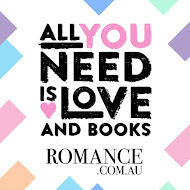 Well, we hope our reviews have inspired you to go out and buy one (or maybe two, or three…or ALL) of our favourite Aussie romances of 2014. We love hearing from you! Was your favourite author among our selection? Which of our favourites do you nominate? Remember, by leaving a comment you’ll be in the running for a $10 Amazon voucher. We’ll announce the winner on next Monday’s blog (a guest post by Alli Sinclair, author of ‘Luna Tango’). Be sure to check back then when we'll share more of what makes us "Love to love, love to laugh, and love to learn!"